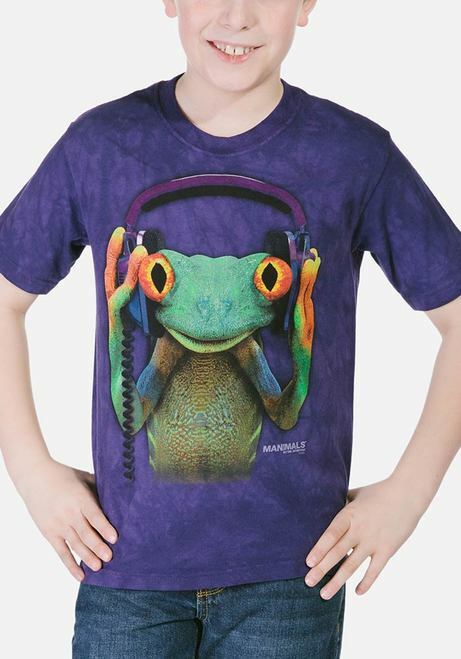 Fun, durable and high quality makes this children's frog t-shirt the perfect choice. David Penfound is the artist of this manimal design. What's a manimal you ask? Well it's an animal doing or wearing something typically human, like DJing! 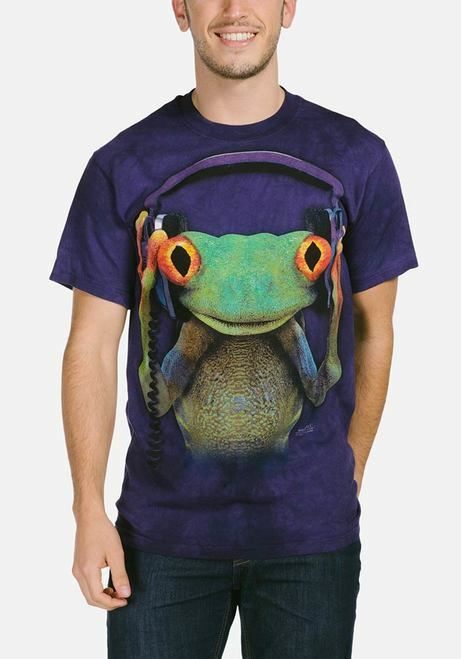 Boys and girls alike will love this purple mottled t-shirt with it's adorably cute frog. 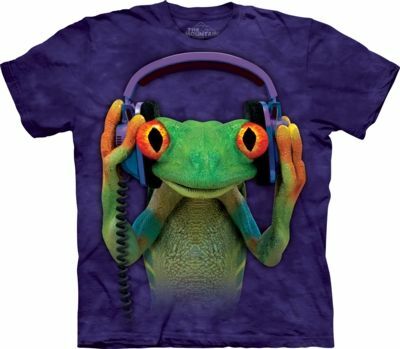 This frog is wearing dj-ing head phones and holding up two of his fingers to make a peace sign.